Whether it's a light or heavy load, you trust your tape to keep your cartons, pallets and bundles secure, despite the rigors of the storage and shipping environment. 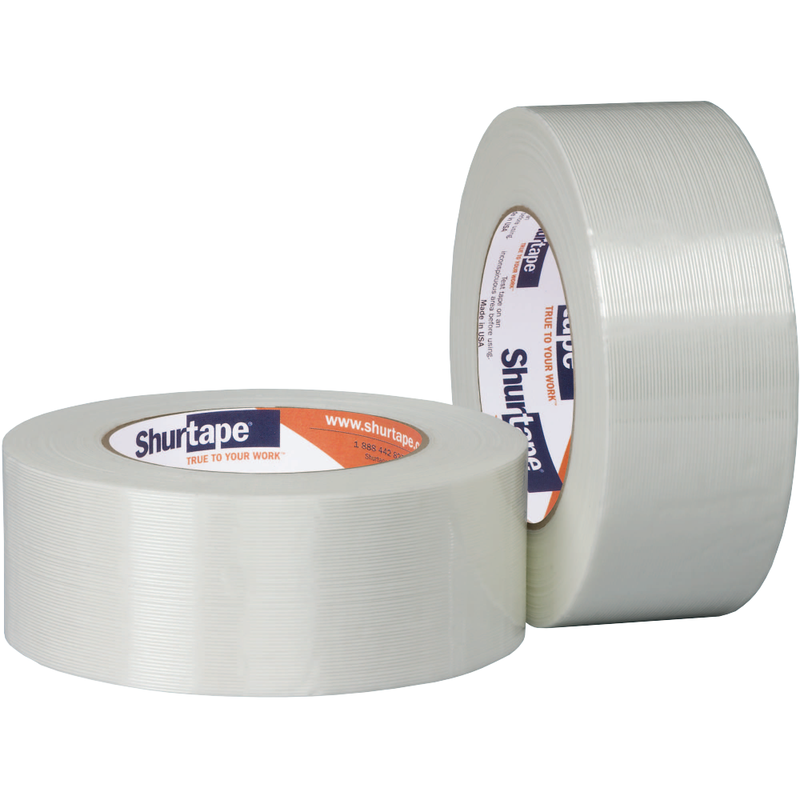 Shurtape delivers with a wide array of tapes that stick quick and hold strong in palletizing, unitizing and bundling applications. Economy grade fiberglass reinforced strapping tape for light duty strapping and packaging. Economy grade fiberglass reinforced strapping tape for light duty strapping, packaging, bundling and palletizing applications. GS 490 offers good adhesion, quick stick and shock resistance for a range of tasks. Utility grade fiberglass reinforced strapping tape for general purpose strapping and palletizing jobs. Industrial grade fiberglass reinforced strapping tape for medium duty strapping and palletizing jobs. High performance grade fiberglass reinforced strapping tape for use in heavy duty packaging applications that demand high tensile strength. Premium grade fiberglass reinforced strapping tape for heavy duty, maximum security packaging applications.